A vape pen starter kit for flavor fiends, the Innokin Endura T20-S Starter Kit packs a lot into a compact pen-style design. The 1500mAh internal battery gives you a consistent 18W of power, and features pass-through technology to allow you to vape while charging alongside a range of integrated safety features. A three-color LED lets you keep an eye on your remaining battery life; when you need to recharge, you can use the Micro USB cable included in the kit and the LED will display your charging status. The Endura T20-S Starter Kit also includes the 2ml Innokin Endura Prism T20-S Tank, an outstanding tank for mouth-to-lung vapers looking for uncompromising flavor. The Prism-S Tank delivers pure flavor and a truly satisfying throat hit, and features a simple top-filling mechanism for hassle-free e-liquid refills: just unscrew the top cap and drip your e-liquid down the sides of the tank. The 0.8ohm Prism-S Coils included are optimized for the perfect draw with the ideal amount of airflow, while the organic cotton wicking provides even deeper, more intense flavor. The Innokin Endura Prism T20-S Tank is 510 threaded, and can be taken apart easily for straightforward cleaning. 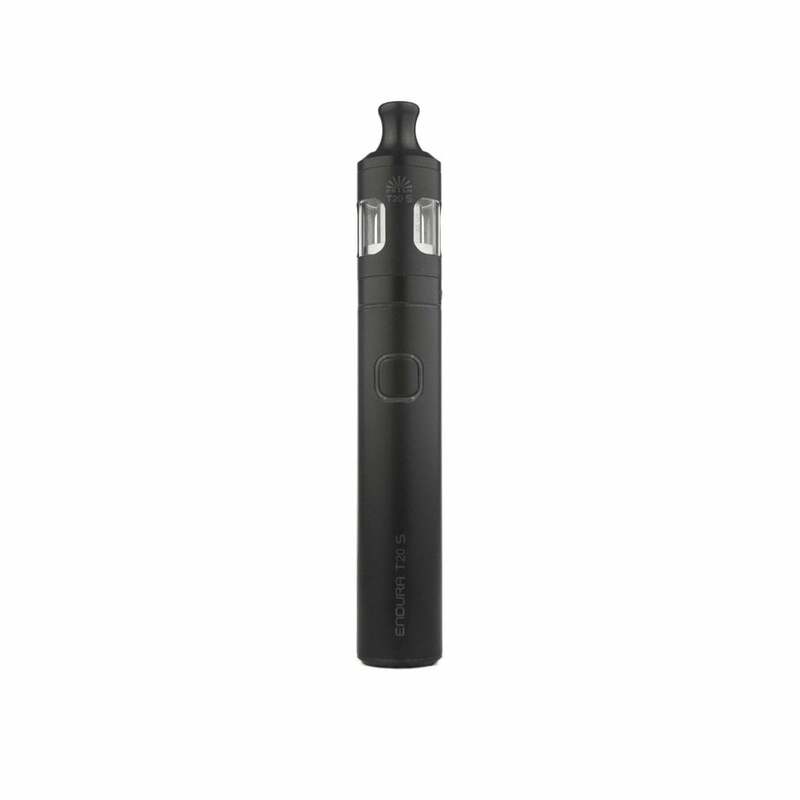 The Innokin Endura T20-S Starter Kit is a great mouth-to-lung starter kit, offering a straightforward introduction to sub-ohm vaping or making a fantastic, portable addition to a larger collection. If you’re looking for a flavor-focused mouth-to-lung vape pen, the Endura T20-S might be exactly what you’re looking for. Available in classic black and silver finishes, or a high-quality rubberized finish in red, blue or purple. Looking for the Innokin Endura T20 instead? Get it here. It's ok. Flavor is good. Just a little to airy for me. Also it leaked when i left it in my car not sure if it was because it was warm in there . Been daily vaping this one for about a week now, absolutely no issues so far. Easy to use- Easy to clean- Easy to Fill. Perfect for noobies. Haven't had to change the coil yet either, the only con's I can see so far: I've been going through oil twice as fast (that could just be me though..) and you can't change the airflow other than put your finger on one of the intake holes... but I like it airy so its good for me. Product is fantastic at first, but my battery is dead before I even went through my first coil. Perfect! Have to change out the coil every once and a while. Very easy to do. Puffs like new. Recommend you buy it and buy replacement coils. Perfect for me. I love this vape pen. It’s great for beginners, has a really simple design and easy to fill up. The SIX AM juice included only sweetened the deal. The Endurance T20-S is just perfect for me. The batter life is awesome. I can put it in my purse and the vapor is just right; not too much. I’ve really been pleased with it.